This is one of those timeless songs that has had different meanings at various times of my life. 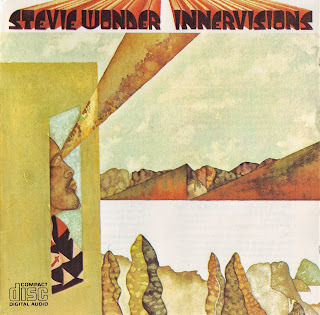 All In Love Is Fair is from Stevie Wonder's Grammy Award Winning album, Innervisions, which won Album of the Year in 1974. The lyrics, composition and production were the work of Stevie Wonder, a musical genius despite being born blind. The song has been commercially successful covered by Michael McDonald and Barbra Steisand, among others. My favorite version remains the original by Stevie Wonder. 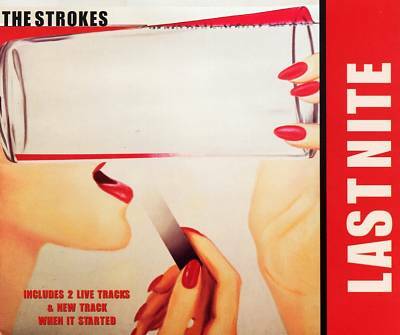 The song Last Nite by The Strokes, written by Julian Casablancas (the singer of the group), released as the second single from their debut album, Is This It on November 5, 2001. An exerpt from Wikipedia . . . The song's opening guitar riff and overall structure is loosely similar to that of American Girl by Tom Petty and The Heartbreakers. In a 2006 interview with Rolling Stone, Petty commented, "The Strokes took 'American Girl' [for 'Last Nite'], there was an interview that took place with them where they actually admitted it. That made me laugh out loud. I was like, 'OK, good for you.' 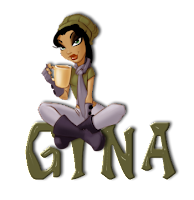 It doesn't bother me". The Strokes were invited to be the opening act for several dates on Tom Petty and the Heartbreakers' 2006 tour. I discovered The Strokes on the best social music file sharing website ever, Imeem, which was bought out by My Space who totally screwed it up. Such a shame since it was the perfect way to discover and share new music while making new online friends who share the love of music. Many of my playlists included on this blog originated from Imeem and are now, of course, non-functional. I'm still in the process of fixing them! One of my favorite songs ever!! "Somebody Told Me" is the second single by American rock band The Killers. 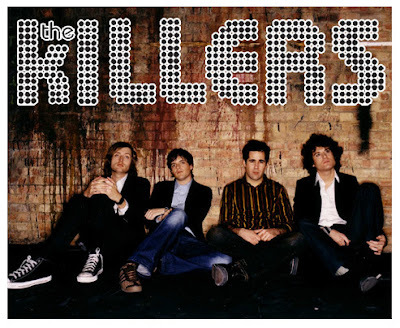 The song is featured on the group's debut album Hot Fuss and was written by Dave Keuning, Ronnie Vannucci Jr., Mark Stoermer and Brandon Flowers. The single peaked at #51 on the US Billboard Hot 100. In the UK it charted at #28 upon its first release in March 2004 becoming the band's first top 40 hit, it was then re-released in January 2005 and reached #3. In Australia, the song was ranked #4 on Triple J's Hottest 100 of 2004. In 2009 it was voted at Number 9 in UK radio station XFM's Top 100 songs of the decade. Billboard called the song "wildly infectious", and "as addictive as nickel slots". Blender said the single is a "superb blaze of synthesizers and guitars that builds to the year's best one-liner: 'Somebody told me you had a boyfriend who looked like a girlfriend I had in February of last year.'" Entertainment Weekly hailed the single as "three smashingly punchy minutes of garage pop so tightly wound that singer Brandon Flowers seems to be accusing his girl of cheating on him with another woman." Rolling Stone said the single was a "nightclub anthem in the making" and continued, "the acid-tongued 'Somebody Told Me' blasts into outer space on a wave of synthesizers and singer Brandon Flowers' cheeky chorus". I totally agree with Entertainment Weekly . . . "three smashingly punchy minutes of garage pop." I can never get enough of this song! Ventura Highway is a song by the band America from the album, Homecoming, released October 1972. 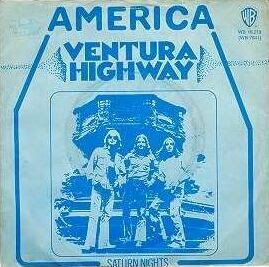 After debuting on the Billboard Top 40 Pop Charts in America, Ventura Highway went to #8, spending nine weeks on the charts. The song was written by Dewey Bunnell, who also sang the lead vocals. Some of the lyrics were inspired by a childhood memory of he and his brother standing by the side of the road, watching the clouds (alligator lizards in the air) and saw a road sign for "Ventura" as his dad fixed a flat tire. In the booklet for the boxed-set, Highway, he states that the song "reminds me of the time I lived in Omaha as a kid and how we'd walk through cornfields and chew on pieces of grass. There were cold winters, and I had images of going to California. So I think in the song I'm talking to myself, frankly: 'How long you gonna stay here, Joe?'" Did you know that the pro-wrestler-turned-politician, Jesse Ventura's adopted name comes from this song? The group was invited to perform at Governor Jesse Ventura's inaugural ball . . . my guess is that Ventura Highway was his theme song. Tell me how long you gonna stay here, Joe?